(1) we can, whenever and wherever we choose, successfully teach all children whose schooling is of interest to us; (2) we already know more than we need to do that; (3) whether or not we do it must finally depend on how we feel about the fact that we haven’t so far. The challenge that we face is not to discover what is needed to cultivate the environment. Our challenge is to practice what we already know and to initiate the collaborative strategies that will lead students into higher levels of learning. If we truly care about student success we must stop doing what we have always done. We must not only do it differently, but also re-evaluate what we are doing and ask the question, “Are we doing it right? Is what we are doing leading to higher student achievement? Is what we are doing in the best interest of students?” In essence, “Step outside of the box.” Inside the box, we can readily identify the problems, i.e., students do not complete their class work, do not do their homework, are below grade level in reading, math, and much of the core curriculum, perform poorly on standardized tests, behave disrespectfully in classrooms, are frequently off task, lack proper nutrition, are frequently apathetic toward the whole business of schooling, and rarely perceive school and schoolwork as important to their long-term success. 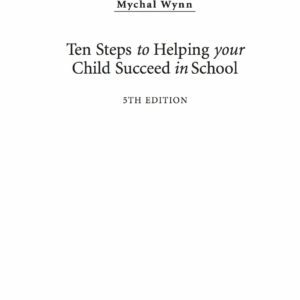 However, the solutions to these and the countless other issues impacting student and teacher success are found outside of the box, i.e., doing things differently—implementing innovative intervention strategies, creating holistic programs to cultivate parental involvement, using mentors and business partners to develop relationships with a caring adult for those students who do not have one at home, replacing ditto sheets with thematic and interdisciplinary units, providing brain-compatible instruction, developing effective action-oriented problem-solving teams, and making students partners in their own learning. Anyone can become a catalyst for the needed changes to ensure that schools become more academically rigorous and socially and emotionally nurturing, however, teachers must become the catalyst for such changes. If there is to be real meaningful and lasting reform within our schools, teachers must model instructional excellence within their classrooms, establish socially and emotionally nurturing classroom climates, and cultivate effective home-school communication through meaningfully productive partnerships with students and families. The term “School Reform” has become popularized, in referring to school improvement and student achievement efforts. However, the term “School Transformation” is more appropriate. 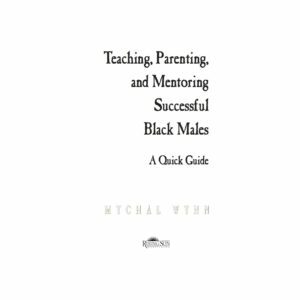 Every school community exists somewhere along the transformation cycle or continuum of change, from those with the highest levels of academic achievement and standardized test scores to those with high numbers of low-performing students, high truancy, and a high percentage of office referrals and suspensions. There is clearly a local and national focus on raising test scores. 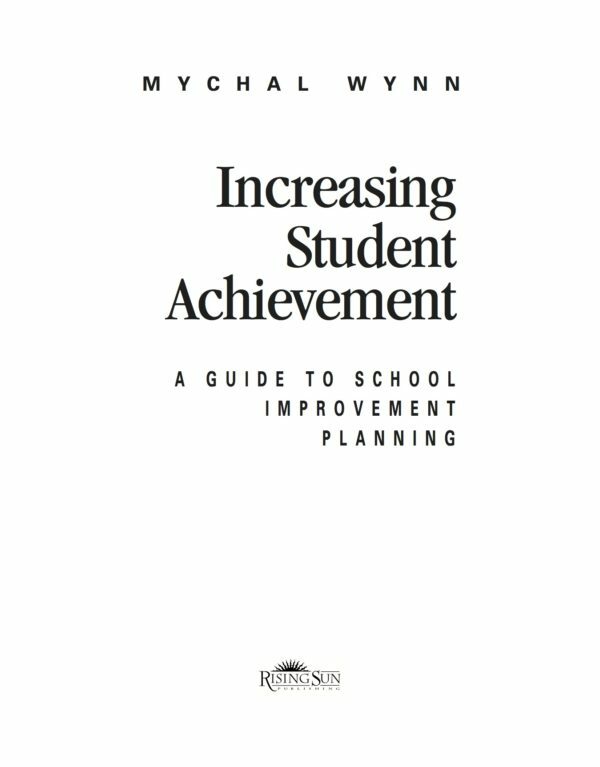 However, such efforts must be guided by an understanding of, and strategies conceptualized in, the six components of the school improvement planning framework as outlined in this book. Efforts to increase test scores must take into account the subtle and not so subtle influences on student achievement e.g., the high number of suicides in seemingly high-performing schools; substance abuse; teenage pregnancies; gangs; drop-out rates in high-poverty schools; teacher turnover; decaying facilities; ineffective utilization of technology; office referrals and suspensions; the high numbers of children of color in general, and boys in particular, referred to special education; lack of parental involvement; teacher attitudes toward families and children living in poverty; and the multitude of other issues impacting school communities and, ultimately, the intellectual and mental health of students. Before describing what we found, it is probably important to describe what was not found. First, if there is a magic formula, a simple prescription or a miracle program that makes all the difference, we did not find it. We found more differences than similarities in the instructional programs and approaches used in the 26 schools. Some would devote all of their attention and resources to instruction and discipline without understanding the holistic nature of teaching and learning. Subsequently, they focus on “new” programs without devoting the necessary time, energy, and resources toward cultivating the school-wide environment where effective teaching and high student performance can occur. This is analogous to purchasing the best lawn seed without devoting any time to surveying the land, ensuring that the grass is appropriate for the climate and environment (i.e., sun, shade, heat, soil type, etc. ), rototilling and fertilizing the soil, ensuring adequate irrigation, germinating the seed at the appropriate time of the year, watering the seed once it germinates, spreading the proper weed killer, and cutting the grass to the appropriate height. We cannot just go out and purchase grass seed (curriculum and staff development) without a clear vision of the type of lawn that we want to grow, and given our environment, that we can grow! Effective school improvement is predicated upon conceptualizing and implementing holistic and multifaceted solutions if schools are to fulfill their promise of effectively educating students. Strategies regarding staff development, parent seminars, motivational assemblies for students, intervention programs, extracurricular activities, school-wide processes and procedures, school-community partnerships, and data gathering and analysis must be identified, developed, and implemented within each of the six components of the school improvement planning framework, i.e., developing a clearly defined and commonly shared mission/vision; developing a school climate and culture conducive to learning; developing curricula that is meaningfully relevant and actively engaging; developing methods of instructional delivery that lead students into the ranks of disciplinary experts; and developing effective assessment tools. -generational, and -socioeconomic communication gaps, making parents partners in student learning, ensuring equity in student representation in honors, AP, Gifted and Talented, and enrichment programs, and inspiring students to learn, all, represent pieces of the complex puzzle of increasing student achievement and achieving the Federal, State and local districts’ learning goals. At the writing of this book, the three students pictured on the cover were middle school students. 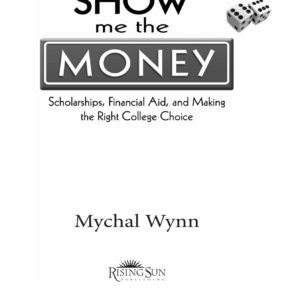 Since that time they have each matriculated successfully through high school and into college (University of Alabama, Amherst College, and Kennesaw State University). These students, unlike many of their African-American and Spanish-speaking peers, have benefitted from a high level of home-school collaboration and strategic planning on their behalf. 1.Strategy. Make strategy the school-wide agenda. Strategy must be communicated in a way that can be understood and acted on. 2.Focus. Create incredible focus. Every resource and activity within the school community must be aligned to carry out the strategy. 3.Organization. Mobilize all stakeholders to act in fundamentally different ways. Develop the logic and architecture to establish school-wide linkages to departments, services, and individuals.